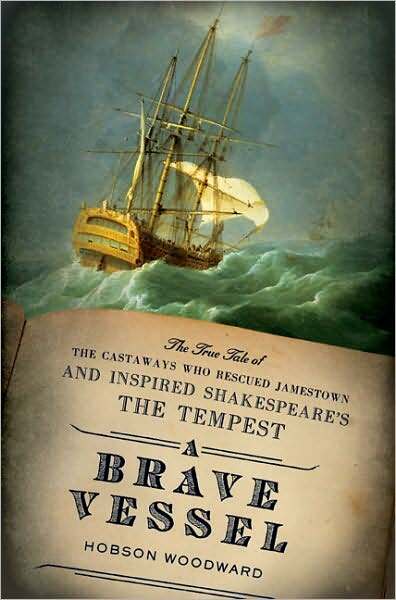 Newcomer Hobson Woodward's A Brave Vessel uncovers a 400-year mystery that links America's fledgeling Jamestown colony, the island of Bermuda, and Shakespeare's masterpiece The Tempest. A Brave Vessel is a gripping tale of shipwreck and survival that changed the fate of the colonies and enriched our literacy legacy. Author Hobson Woodward is associate editor of The Adams Papers, and comes to us from the Massachusetts Historical Society in Boston.